This year’s highly anticipated New Year’s Run represents more than just another four Phish shows. 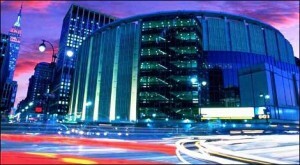 Not only will MSG be the culmination of the band’s progression from 2009 to now—a triumphant re-growth process that has landed them in a Golden Age—it will also be a celebration of the joy that permeates the Phish community again—a community dispersed by Coventry, divided in their confidence when the band returned, and finally united by the musical lightning of 2011. And now we have four days in New York City to party! On December 29th, in the spirit of the season and in conjunction with the release of Mr. Miner’s Phish Thoughts: An Anthology By a Fan For the Fans, I, personally, invite one and all to “1229: A Book Signing and After-Party.” Here are the details! The Afterparty: Post-show – 3 am – FREE! A quintessential ’98 ambient jam bleeds into a furious funk throw-down which Trey absolutely tears apart.. This multi-tiered and exploratory “Disease” was the monster jam on the 30th in 1998. 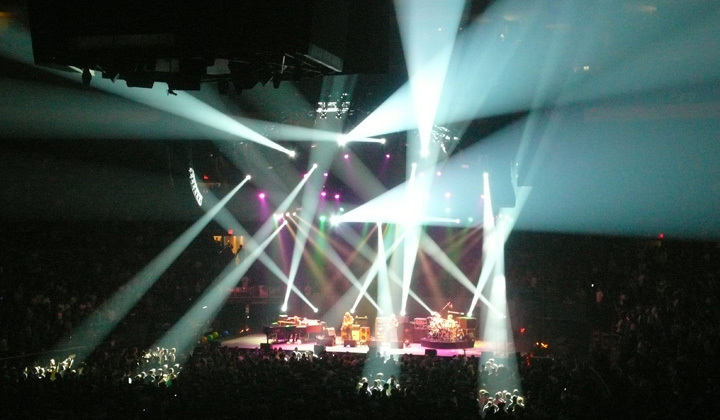 An intense first-setter from 1995—vintage December ’95 Phish fire. Phish sparked a special night at The Garden by ressurecting “Sneakin’ Sally” from the ’80s. This jam was part of a power-packed second set on New Year’s Eve ’95; one of the best sets in MSG history. This unique version features a looped-out, spacey exploration of the song’s reggae intro before ever dropping into the song’s opening lyrics. This “Hood” was the final improvisational escapade in the best New Year’s Eve show since ’95. The creative centerpiece version from the band’s Garden debut. Welcome to Tuesday! All songs in today’s playlist were performed on Tuesday, therefore bringing synchronicity between today and this music. Enjoy some of these lesser known selections. A heavy helping of raw, unpasteurized cowfunk from Europe ’97. Fast forward to the last Tuesday of tour during Fall ’98 in New Haven Coliseum. I often push this “Mike’s” in which the band got in some pre-Atlanta practice, vamping over Remain In Light’s “Houses in Motion” during the song’s second jam. One of Fall ’97 most exploratory jams comes from one of its least talked about tour stops at Penn State. After a Voters For Choice benefit showcased six new originals and three new covers, many fans have been waiting for a return of this one-timer ever since. After playing an opening set for Phish in New Orleans, John Medeski, Billy Martin, and Chris Wood came out opening for an extended jam session with the guys to close out the second set. 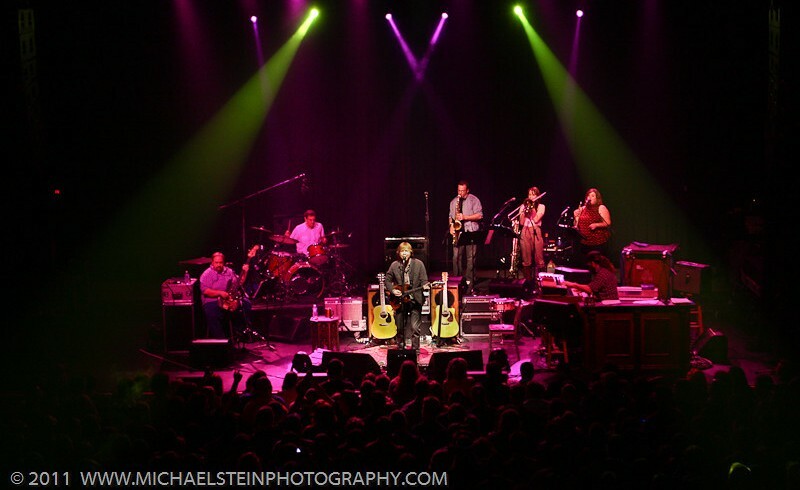 Fishman spent stints on vacuum and trombone. Last week we looked at some of the elite moments in Madison Square Garden Holiday Run history—and this week there is plenty more! With a December legacy like none other in the venue,Phish has more than enough to fill out another stellar Friday playlist. These tracks further illustrate the explosive music the band has cranked out at the end of the year in The Garden. The first set highlight on New Year’s Eve ’97. One piece of a monster opening set in New Year’s Eve ’98. After a balloon-popping fiasco all but ruined the third set “Tweezer” on New Year’s Eve ’97, Phish annihilated this second set beast the following year. Grade-A Phish crack through and through. The first domestic “Carini,” the birth of the “Moma Dance,” and a reprise of “Sneakin Sally”—the bustout from ’89 that opened the show. This sequence gets my vote for the best encore in the band’s career. Unquestionably. One of the finest jams of 1997’s stellar three-night run. 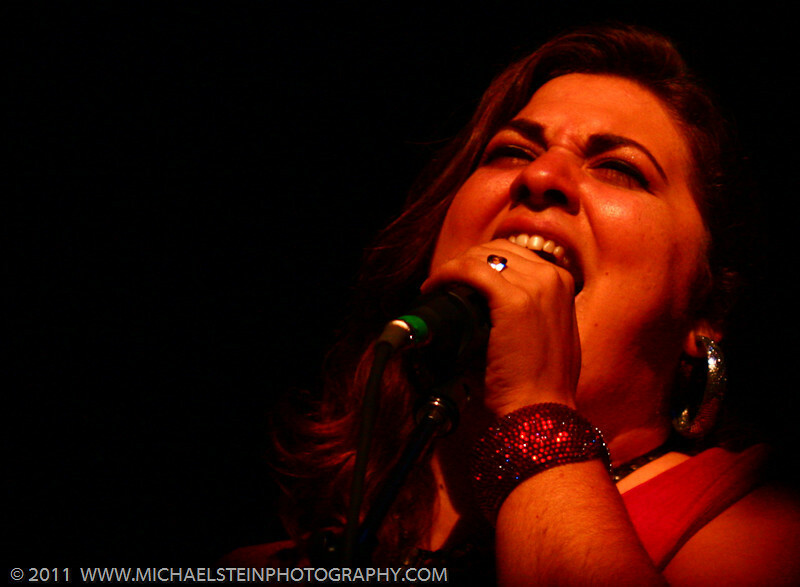 This dynamic and extended “Weekapaug” closed the second set of New Year’s Eve on its highest note. Pure and unadulterated fire; one of the elite versions of the year. When the band finished what many consider their finest New Year’s Run with a blowout version of “YEM” at The Garden, all was right in the universe of Phish. Extra! Extra! Books For Sale! The time has come! 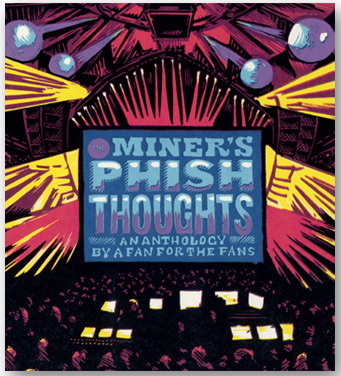 The final edits have been made, the proofs have been proofed, and Mr. Miner’s Phish Thoughts: An Anthology By a Fan for the Fans is ready for pre-sale! As of right now, you can head over to the updated book site and place your order. Any orders placed by December 1st will be fulfilled in time for the holidays! When placing any order, you will find two shipping options that I want to clarify. USPS Priority Mail is 2-3 days guaranteed and USPS Media Mail is around 7 days, but no time frame is guaranteed. 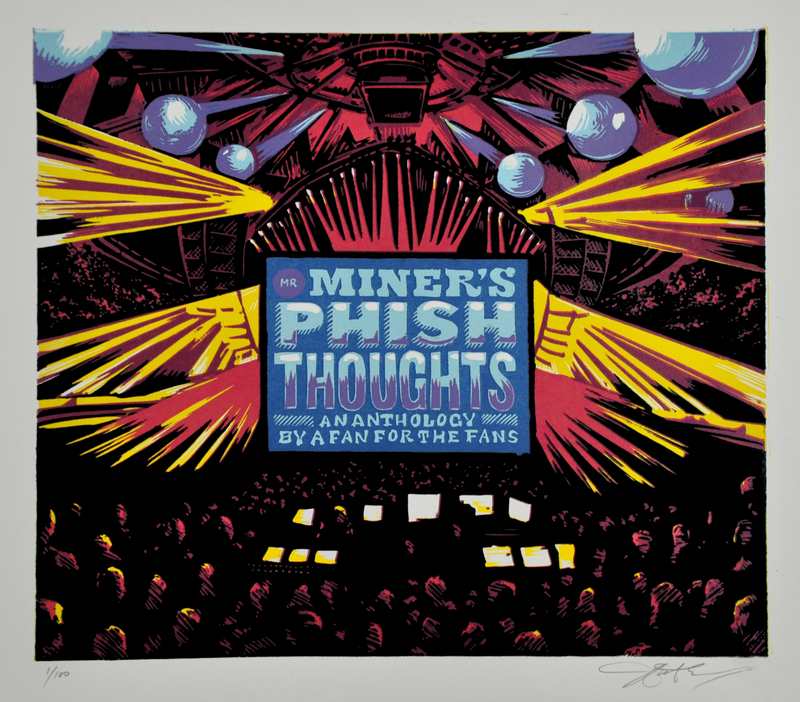 Any and all information about the book, its specs, and its unique format can be found at Phishthoughtsbook.com. If you have already pre-reserved a copy on the book site with your email address, your copy is officially set aside! All you need to do is complete your online transaction before December 1st and you’ll have your book by the holidays! You will receive a reminder via email as well. Thank you for your support! In addition, I am very proud to present the cover art for the hardback volume by AJ Masthay. In conjunction with the beginning of book pre-sales, AJ will be offering a limited edition run of 100 cover art prints (below) starting at 12 Noon EST today on his site! Be sure to act fast in order to grab one of the few available! In celebration of this personally momentous day, enjoy some of my favorite uplifting jams for the beginning of the week. This Friday’s playlist is comprised of many of my favorite MSG moments from Holiday Run history. While a comprehensive list would be exhausting, these pieces represent the creme de la creme from The Garden’s past Decembers. Each selection is an absolute five star gem, so enjoy the high quality Phish for the weekend! Bliss through music; one of the best versions known to man. 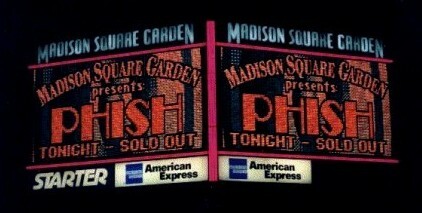 The exploratory centerpiece of Phish’s first show at The Garden. 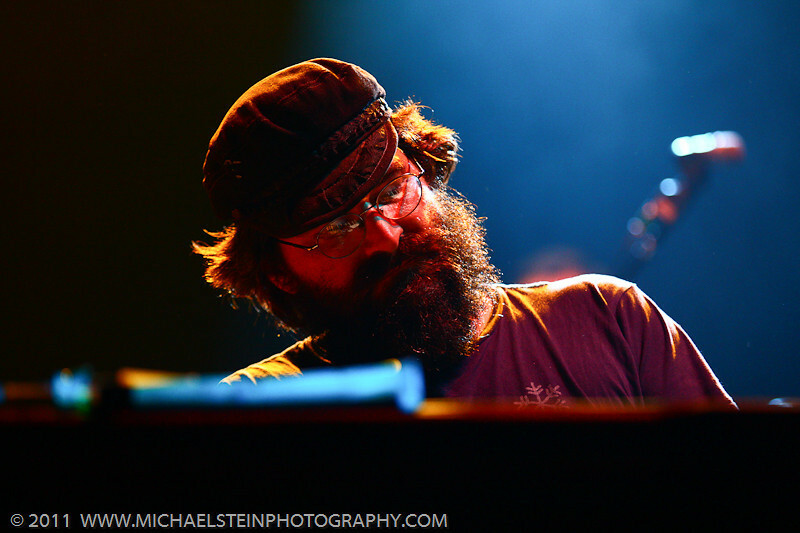 In a year filled with masterful “Mike’s Songs,” this one could be the best. A total blowout to kick-start 1996. One of my personal favorite pieces of MSG Phish. A large chunk of one of the best sets ever played at The Garden. 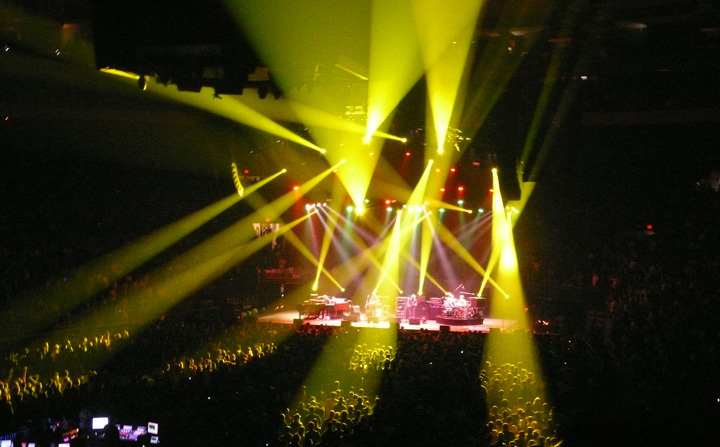 Historically, Phish and MSG have made quite the combustible holiday combination. In 1994, the band first stopped at 33rd St and 8th Ave on December 30th, on their way to Boston for Tropical New Year’s Eve. The following year, 1995, Phish came back to The Garden for two nights to close the year, with 12.31.95 being the peak of an era and, arguably, the best show Phish has ever played in The Garden. 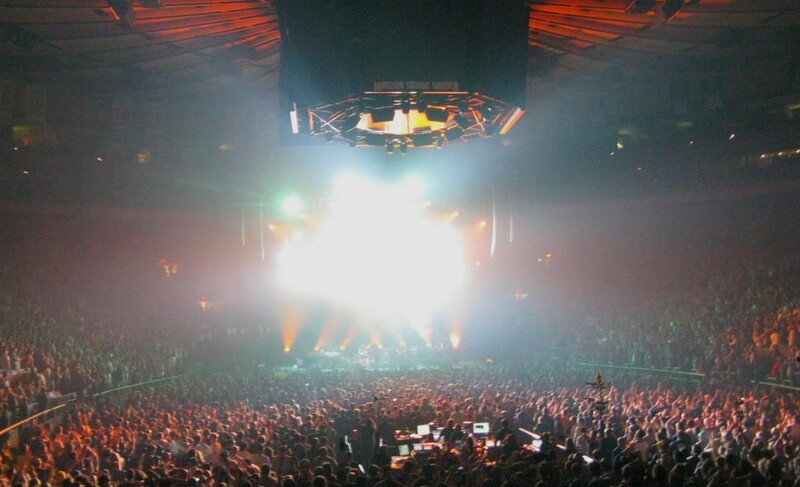 Come 1996, Phish stopped at MSG for a two-night stand during the opening leg of Fall tour (10/21,10/22). Though the second show contained a well-crafted setlist and a couple legitimate highlights, the tour didn’t really pick up steam until after Halloween at The Omni. The band skipped The Garden on the Holiday Run in ’96, favoring two nights in both Philadelphia and Boston, before coming back for an unprecedented three nights to close out their stellar year of 1997. Punctuating Phish’s transformational and creative year of ’97, these three shows—the first of which is one of the outstanding shows of the late ‘90s—made the bond between Phish and Madison Square Garden permanent and inseparable. 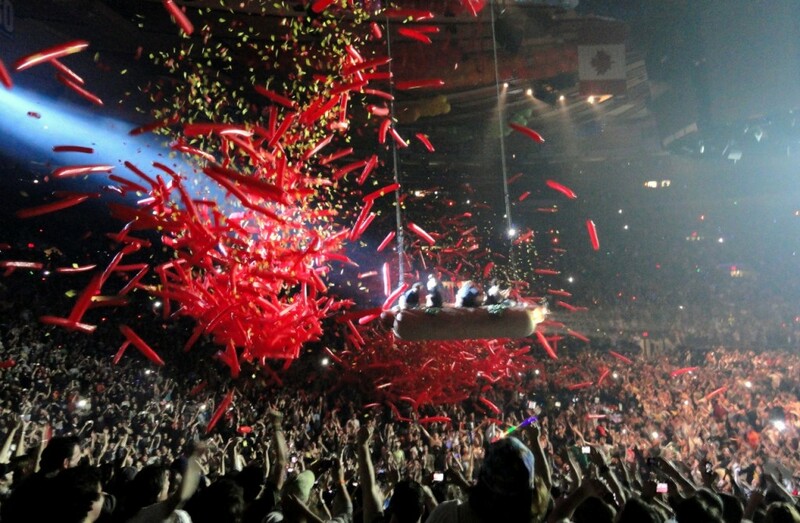 But if three shows in one building set a new standard for a New Year’s Run, the following year the band returned to The Garden a four-night Holiday Run—a spectacular stand through and through, and the most accomplished Holiday Run since 1995. All four shows popped off in 1998, with the 30th lagging only a slight bit behind. For four straight nights, Phish ran shop at Madison Square Garden, finishing with 12.31.98—the band’s most impressive New Year’s Eve performance since ’95. Phish, however, wouldn’t return to the building in its last two years of pre-hiatus existence. But when they came back on New Year’s Eve in 2002, there was only one place to do it—The Garden. 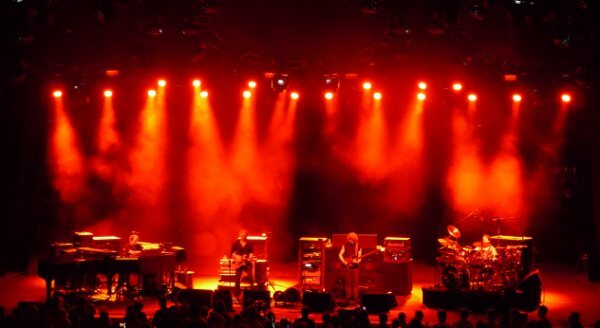 Though the show, musically, wasn’t all that special, the mere fact that Phish chose their New York home for their return added to the venue’s already storied legacy. But in their short second go-round, their comeback show would be the only 2.0 performance in the round room. When the band returned for this era, they chose the only other venue that made any sense for the reunion—Hampton Coliseum. 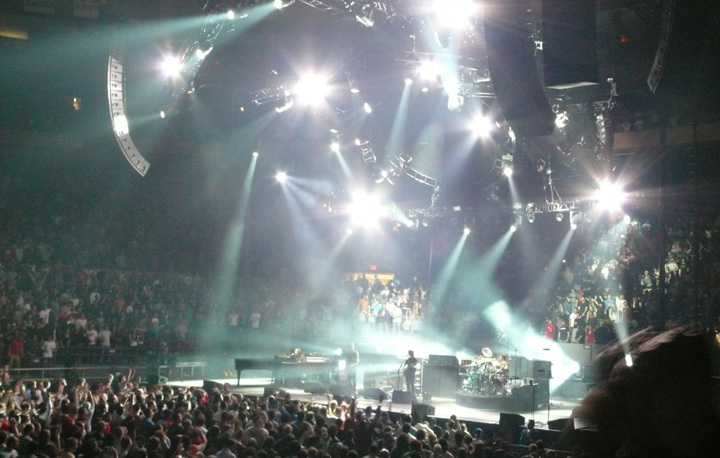 But it wouldn’t be long before Phish made it back to The Garden in 2009, for three high-quality shows in the Fall of ’09. Three more at the end of 2010 brings us to now. It seems only fitting that Phish will return to MSG to celebrate the holidays at the end of their most accomplished year of this era. With no fall tour, these shows represent a standalone oasis amidst a lot of time off. The band has said that 2012 will be a light year of touring, thus nobody knows when the following shows will come. 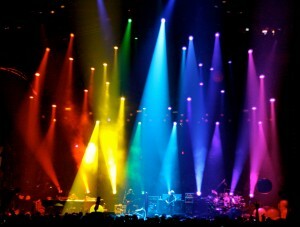 But with four nights in New York City to end the year, nothing could be finer in the world of Phish. The ticket request period is now open until October 24th. Best of luck in the lottery! The centerpiece of set two on New Year’s Eve 1998. After such an extensive summer of Phish music, I haven’t been keeping up with Trey tour as usual. I haven’t listened to a full show or many jams, but reports have been solid all around. The most interesting aspect of Trey tour for me, however, has always been its proving ground for new songs and the potential they may hold for Phish. 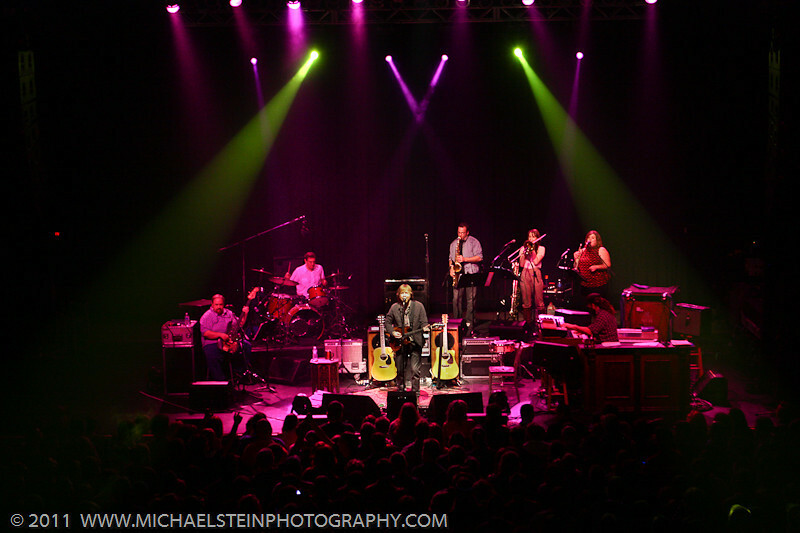 Trey’s larger band slayed 33 shows over the summer while debuting exactly one new original, thus I would imagine that on the first tour of 2012—whenever that may be—we’ll hear a batch of new songs. 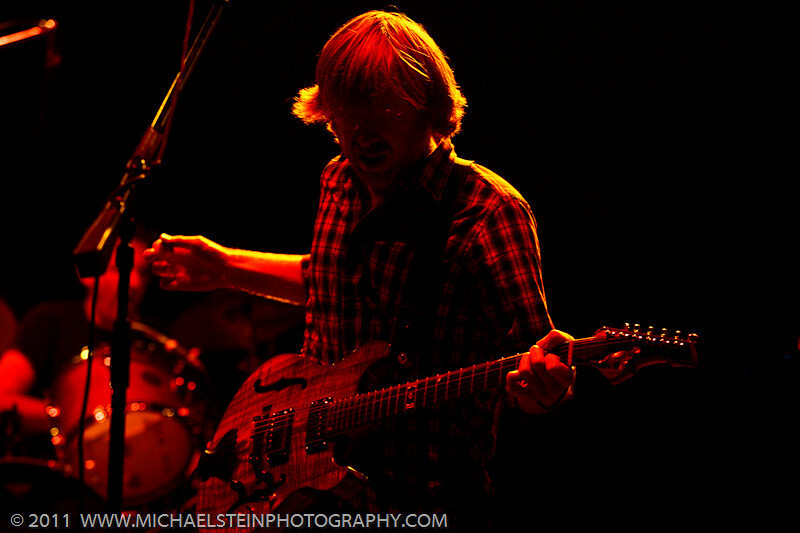 With work on an album forthcoming as well, one has to wonder what new Trey debuts might crossover to the Phish stage. With more than half his tour left, we may see Trey unveil more pieces yet, but for now, lets look at his first four debuts. Trey’s most recent debut, “The Land of Nod”—first played in the encore of the Myrtle Beach show—is my favorite and the most original of his new pieces. 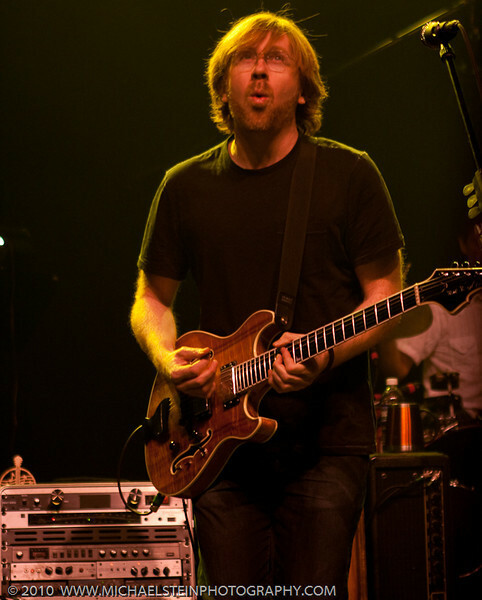 Written by Trey, alone, the song begins with a heavy, bass-driven groove and when the horns come in over this rhythm, the piece resembles genuine Israeli gyspy-dub (a la Balkan Beat Box.) With ridiculously danceable rhythms, Phish could slaughter this piece if they could adapt the horn lines to the quartet. The middle of the song moves into an uplifting and melodic passage with the refrain, “I was asleep for so long…”— a total juxtaposition of styles within the piece. 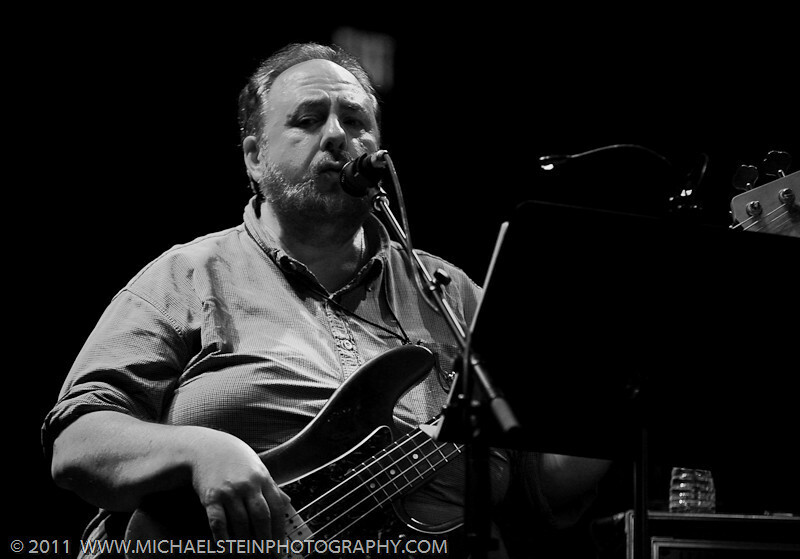 When the song moves back into gypsy-dub stylings, TAB winds it down, though this is where Phish could just get going. Then again, this is one tune that could be tailor made for his solo project. The first Anastasio/Marshall composition of tour was debuted late in the second set of Higher Ground’s opening show, and that is exactly where I can see it fitting in a Phish show as well. Though the piece has already been pegged as Trey cheese by many fans, but I actually enjoy it quite a bit. While the lyrics are bit over the top about the Winter Queen and the Prince of Music, the guitar melodies and sparse supporting textures are both ethereal and cerebral. Trey and Tom usually write songs for one band and one band only, so I wouldn’t be surprised “Glacier” in the bigger pond at some point. Inspired by a dream had by the Dude of Life in which Trey’s thumb was a snake’s head, this debut came in the first set of the first show at Higher Ground. A slow and filthy groove, “Snake Head Thumb” illustrates how 2010’s Halloween cover of Little Feat has influenced Trey’s songwriting. Crafted in collaboration with the Dude of Life, the chorus makes way for a slow and infectious groove that methodically moves to dirtier and dirtier places. The only debut that had included a jam, Trey unleashed his compressed growl over heavy organ swells in this percussive piece. A jam that Phish could take to sinister realms, this could be the second new-school Anastasio/Pollack contribution to the rotation (with “Show of Life”). Beginning with beautiful vocal harmonies, this song’s opening gives way to a minimalist and chilled out groove, allowing its focus to remain on Tom Marshall’s lyrics. 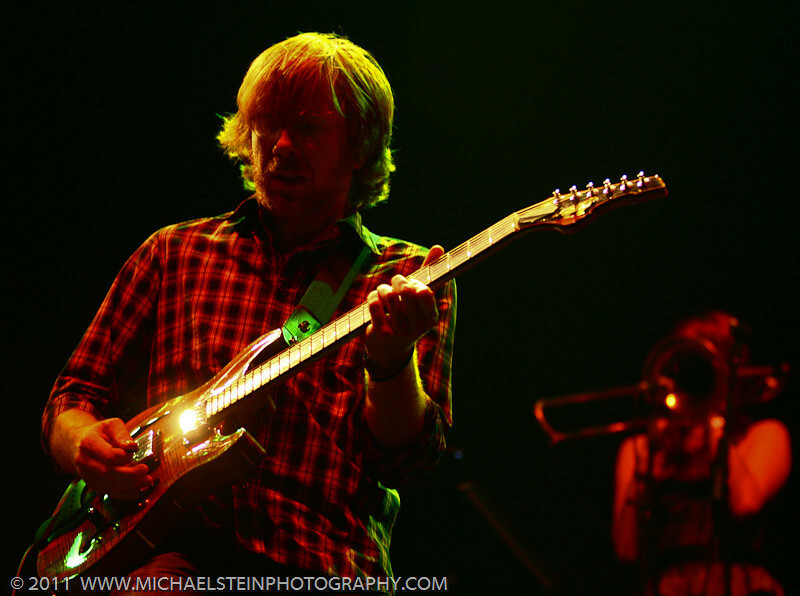 “Frost,” the second Anastasio/Marshall debut of tour could easily translate to a powerful Phish ballad. Containing the refrain of “Maybe you could sail away,” this section seems tailor-made for big-time Phish catharsis. Though more straightforward than many of Trey and Tom’s playful numbers, the more I hear this one, the more I like it. 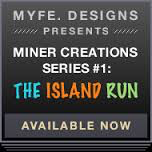 Here are the final download links for the Summer 2011 Miner’s Picks series—all with the best sources available. Thanks again to Chris Keiner of Phish Listening Room for all the hard work! Powered by WordPress v 5.1.1. Page in 1.328 seconds.